Brother Tommy Brooks obeyed the gospel on March 31, 1985, at the Fifth Ward Church of Christ in Houston, Texas. Shortly after, he began his preparation for the ministry focusing on Biblical Studies at the Houston Christian Institute under the direction of Bro. Thomas Foster. Bro. 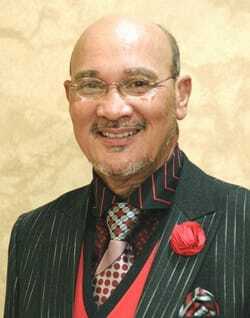 Brooks served at the 9th Street Church of Christ located in Fort Smith, Arkansas as assistant minister from 1993 until 1997 and as full-time minister until 2007. He retired from an upper-level management position on his secular job in 2000 to give his life totally to the ministry. On September 16, 2007, he began serving as minister for the Church of Christ in Highland Heights in Houston, Texas, where he continues to work today. During his time at the Highland Heights congregation, he has been successful in leading 80-100 lost souls per year to obey the gospel. He regularly conducts workshops and personal evangelism classes to teach his methods for effectively sharing the gospel. He has developed several powerful series of lessons and articles designed for the spiritual development of the entire family. Bro. Brooks has made regular contributions to 21st Century Christian Publishers’ Blueprints for Christian Living and Character Under Construction series, as well as their latest series, Cornerstone Of Our Faith. In 2013 he authored a book entitled, Life Without God Is Meaningless: A Study Of Ecclesiastes. Part of the Cornerstone Of Our Faith series, the book guides us through Solomon's wisdom to help us build a life that counts for eternity and adds meaning to our existence in the here and now. ​Looking At The Man In The Mirror: A Study Of The Book Of James, Bro. Brooks’ 2015 publication within the Cornerstone Of Our Faith series, allows us to look deep within and see ourselves as God sees us. The study should help us to look at ourselves in the mirror--the scriptures--to fix whatever is out of place, especially if we’re trying to look like Jesus in today’s world. His third book from the Cornerstone of Our Faith series, The Man In The Background Of The Mirror, a study of how to obtain a Christ-Like spirit, was released in July 2017. In this study you can not only look into the mirror--the bible--to see your reflection as it relates to God’s Word, but also to gain knowledge and understanding of how to become more like the man in the background of the mirror, who is Christ. Bro. Brooks has been married to Sharon Brooks for 39 years. They have three daughters, one son and seven grandchildren. His hobbies include fishing, hunting and golfing. His passion is preaching the gospel with specific emphasis on the cross. Salute one another with an holy kiss, the Churches of Christ salute you.